With winter in full swing, the burners are lit and HVAC units are in full heat mode. Your fall maintenance stated all components are working well, but did your HVAC technician confirm your heat exchanger is in good shape? Because a damaged or cracking heat exchanger can pose a definite risk to your health. 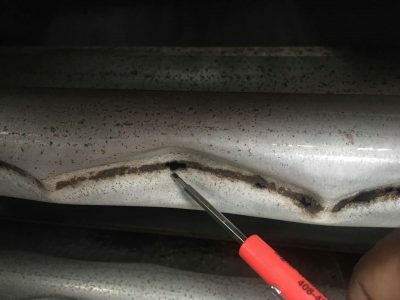 When it comes to a cracked heat exchanger, don’t panic. 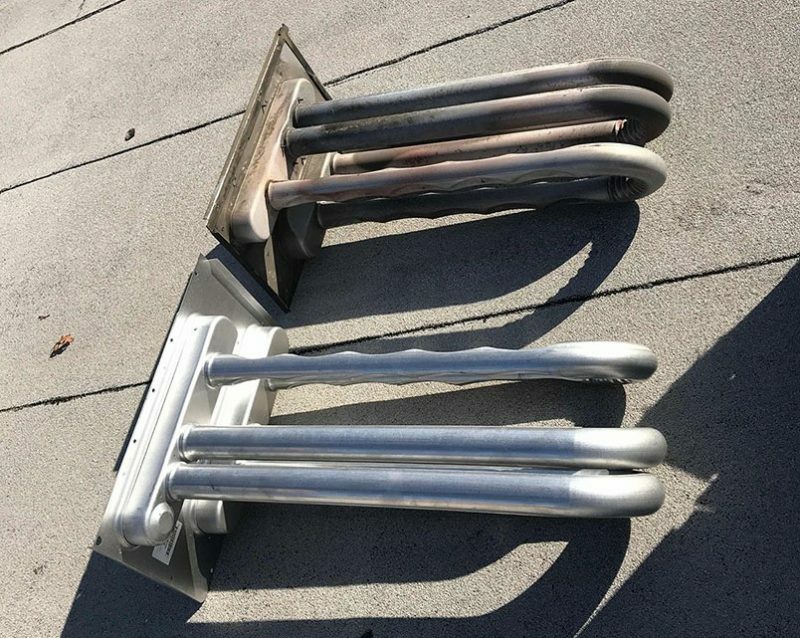 Just be mindful of what health concerns can arise from a faulty heat exchanger left running, make sure the heat has been shut off, and be ready to replace it. Heat exchanger for a commercial air conditioner. This is a heat exchanger, and it’s designed to be a secure environment for combustion to travel. It’s the transfer of that combustion that creates heat. 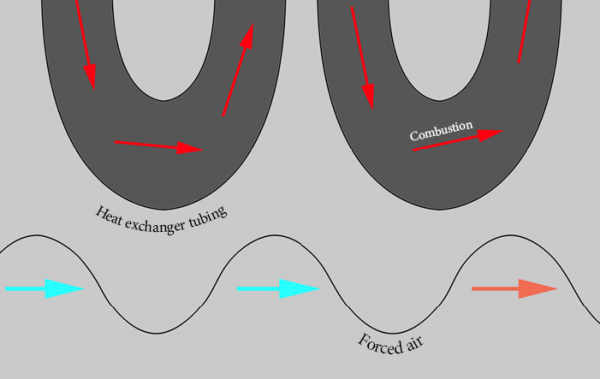 Air is pushed over folds of the heat exchanger, warmed, and sent out through the duct-work to the rest of the building. 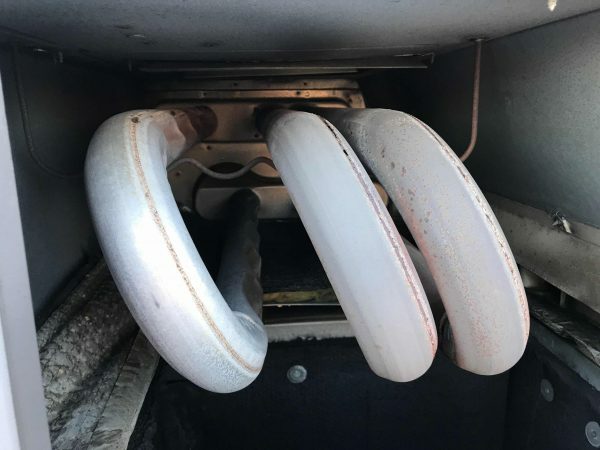 There are only two openings on either end of each heat exchanger: one for the burner that lights the gas, and one to release the combustive materials. Air passing over heated tubing. Heat exchangers have a fairly long lifespan, as gas supplied furnaces are manufactured under a set of nationally recognized standards. But even a well-maintained unit will suffer wear and tear from regular use. And the wear is worse on a unit that isn’t serviced properly. Every time your unit calls for heat, that metal expands and then contracts again once the call is done. Over time, hairline fractures can form. Which can grow into even larger cracks. Carbon Monoxide (CO) – Colorless and odorless, initial symptoms include headaches, weakness and vomiting. And longer exposure can be fatal. Nitrogen Dioxide (NO2) – A harsh and saccharine gas, short term exposure can cause coughing, bronchitis, and inflammation of the lungs’ lining. Particulate Matter (PM) – Particles that can cause a variety of ailments depending on the size, from asthma to irregular heartbeat. Carbon Dioxide (CO2) – A heavy and colorless gas, CO2 causes vertigo and seizures at high concentrations. Studies show that many Americans are either uninformed or misinformed about the dangers of CO2, especially went it relates to good equipment maintenance. 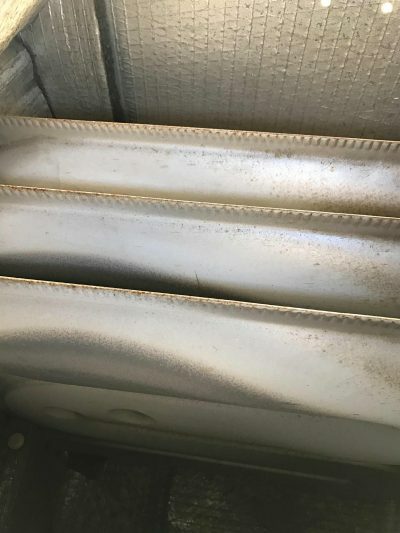 Understanding the potential risks of a damaged heat exchanger is the first step towards a safe heating season. 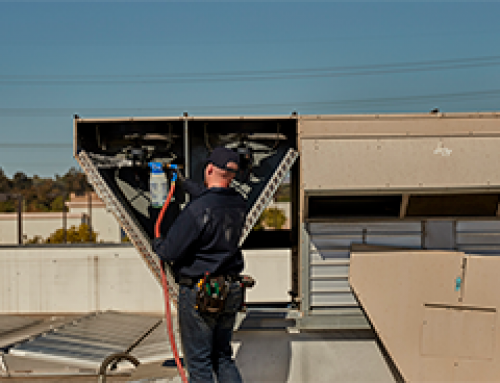 The second step is a solid maintenance schedule with a full fall checkup, that will ensure your gas-supplied HVAC units are crack-free. If you don’t have recurring maintenances for your equipment, it’s never too late to reach out to your local contractor and setup a survey. Keep yourself and your employees safe with preventative care.